I had planned on a low key night of antipasto and Sleepless in Seattle with my lady for Valentine’s Day, but when I received an invitation for a five course dinner at Hyatt Canberra, I had to reluctantly shelve those plans. Okay, no twisting of the arm was required, but antipasto and the movie will be done soon. This was only the second time I had dined at the Hyatt; the first time being a function in 2013. I quite enjoyed the food then, so I was certainly looking forward to a five course set this time around. It did not disappoint – a very satisfying meal in an ambient setting with free flowing Moët & Chandon. And while each dish was a hit, three were a particular knock out for my lady and I – Seafood Garden entree, Entree 2 of sous vide stuffed chicken, and Champagne strawberry sorbet. The Seafood Garden – confit king fish, beetroot sponge, black garlic puree, squid cracker, sea vegetable – was a delightful start with each element getting the tastebuds going. Entree 2 – sous vide of stuffed chicken, morel mushroom, smoked potato, Jerusalem artichoke, truffle oil – then hit the tastebuds hard, packing loads of flavour. I shouldn’t have turned down the offer of more bread earlier on so that I could have wiped up every bit of savoury goodness from the plate. The popping pearls added a fun burst of sweetness to the Champagne strawberry sorbet that was a perfect refresher to reset the tastebuds for the Duo of Lamb main. I’m not often fond of lamb, but there are times when it’s done well, like the duo of roasted lamb rack and slow cooked lamb belly. I especially liked the belly, but after finishing off the rack and the other dishes, the richness of the belly was hard to get through in the end. I wouldn’t have minded a smaller portion to have it as an entree and the sous vide stuffed chicken as the main instead. Dessert – berry shortbread heart, white chocolate mint ice cream, popping candy, Grand Marnier jelly – was a fitting finish, although I was getting too full to fully appreciate it. Overall a great night. The live saxophone and guitar duo added to the ambience, although some recorded music while they took a break would have been ideal. During the past 12 – 15 months Hyatt Canberra has hosted a range of events targeting a younger demographic. In true testament of this Chris McClelland chose the hotel to propose to his girlfriend. Chris met with the team a couple of times to plan the big day. He took the unassuming Millie Evans for a picnic at the Lennox Gardens. Chris popped the question and she said YES!!! The couple was then picked up by the hotel’s concierge and brought into the stylishly decorated Howard Lounge to the soothing sounds of a saxophone player. The room was tastefully decorated with roses and candles. A slide show and playlist designed by Chris helped the couple calm their nerves and relax. After an amazing three course dinner perfectly paired with matching sparkling wine, the couple spent a night of luxury in a Deluxe King Room. Give Hyatt Hotel Canberra a follow on Facebook and Instagram to keep an eye out for upcoming events, and certainly plan it for Valentine’s Day next year. And I need to have my first high tea experience soon. Wow, quite an amazing movie this is. So real, it will make you smile, it will make you laugh, it will make you think, it will make you hope, it will make you cry. It truly takes you on a journey that is so beautiful, funny, thought provoking, uplifting and sad. 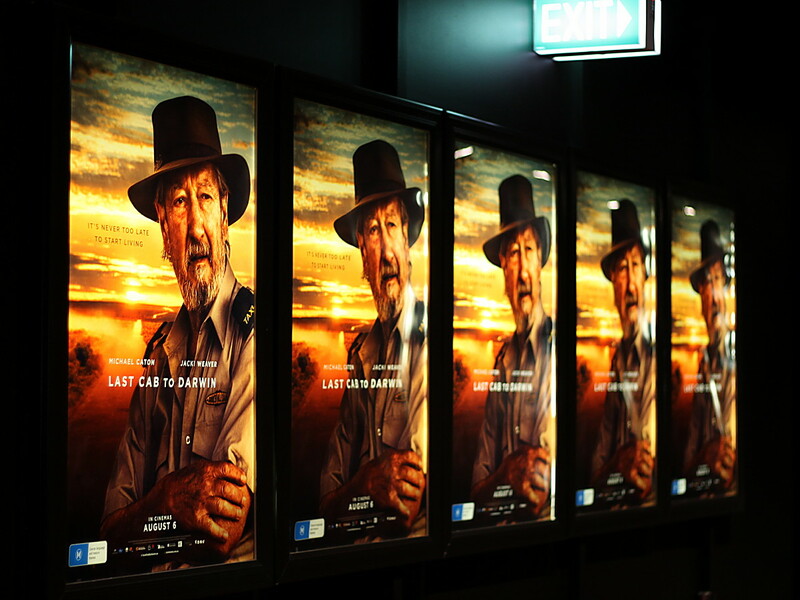 I doubt there was a dry eye in the cinema last night as Rex takes us for a ride along with Polly, Tilly and Julie. It will get people talking about voluntary euthanasia, but it also makes you think about who and what you value in life, and the decisions you make. We have all been touched by someone battling cancer, and this film plays all the notes on your heartstrings. Director Jeremy Sims and crew did a fantastic job with this film. 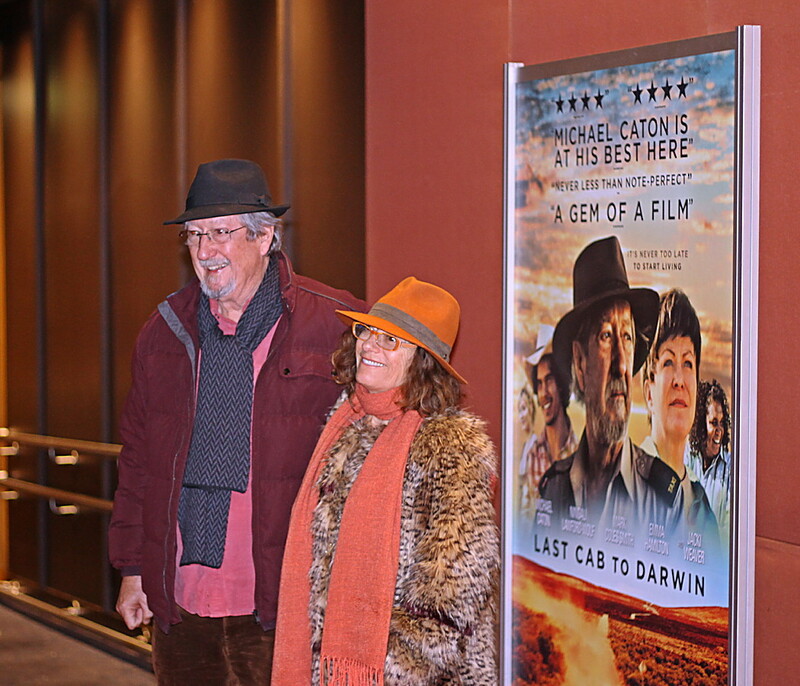 It was quite the treat to have him and Michael Caton there for the Dendy Canberra red carpet premiere followed by Q&A. 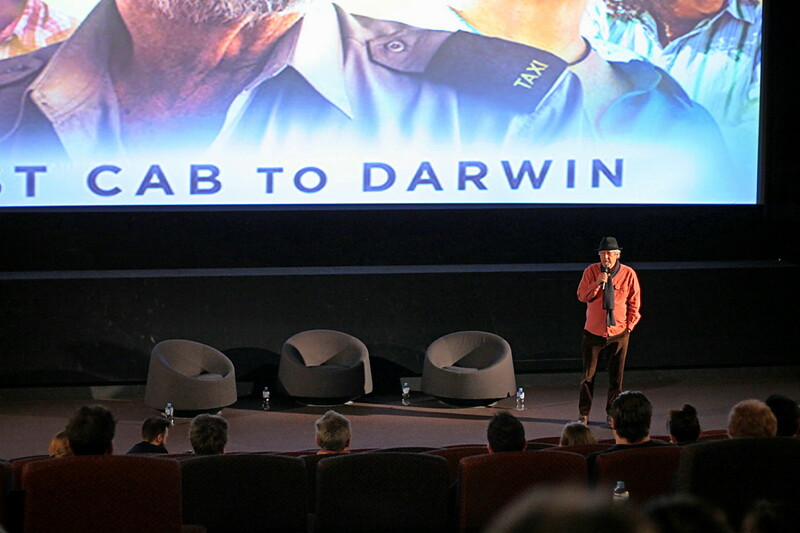 I had a few questions to ask; I did get greedy and asked two on my turn – did they shoot on location at all the towns shown in the movie along the way from Broken Hill to Darwin, and will there be any chance of a spin off to show us more of Tilly’s story? You had to laugh at Michael’s answer that they would first have to teach Mark Coles Smith, who plays Tilly, how to play football – hence why there weren’t actually any football scenes. Ha, why not? There’s a Wimbledon movie after all. Tilly is quite the character. He’ll get you thinking about the way you treat people, and your own decisions in life. There are many Tillys out there that get caught up in the spiral, making a wrong decision and ending up in bad circumstances. But the full of life Tilly will have you hoping he turns it around. You’ll also love his Butcher Dance! As for shooting on location, it seems there was resistance from high up, but I’m glad Jeremy persisted with shooting at each location as I believe the authenticity completes the movie. It also took the crew on their own journey as they made their way up from Broken Hill to Darwin, and I am quite envious of them. I love a good road trip, the landscapes and sunsets, and I have done inland trips many times between Rockhampton and Canberra/Melbourne/Adelaide. Shooting this film would have been fun and quite the adventure to make the hard work worth it. Up the middle of Australia may be a drive I’ll do one day, but for now the next best option for you and me is to watch this movie. 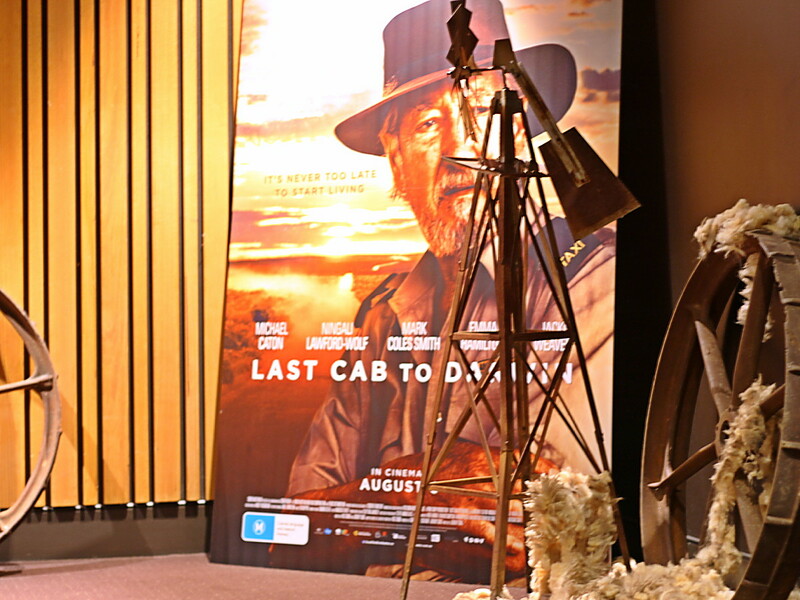 To the cast and crew of Last Cab To Darwin, thank you. The. Rap. Guide. To. Evolution. Yes! Brilliant, brilliant, brilliant concept, show and performance by rapper Baba Brinkman and DJ Jamie Simmonds. An intelligent, funny, and though provoking mashup of hip hop with the science of life, referencing the work of Charles Darwin and other rappers. The only disappointment for me was that I didn’t have my hoodie to bounce along to it. Brinkman ain’t no scientifically confused Canadian Eminem. He nails it. Check out the links below, watch some clips, look up the tour dates, do yourself a favour and get to a show. I’m certainly intrigued to see how it evolves over the next couple of years. I’m A African! Performance. Feedback. Revision. And don’t sleep with mean people. What better way to spend a Saturday night than with my two minis at the National Dinosaur Museum. A part of me was hoping that it would come alive like in the movie “Night at the Museum,” and with this hope I asked our tour host Phil if it would be the case. Hardly missing a beat, he replied that his stories would make it come alive. Little did I know that this wasn’t just a throwaway response; it turned out to be quite an understated promise. Alive it became, not just mechanically but indeed through Phil’s stories. The robotics gave the exhibits movement and his words gave them life. You could see the look on people’s faces that their imaginations were going on a journey. When it comes to hosting tours, Phil is right up there as one of the best I’ve experienced. Not only did he capture the hearts and minds of the little ones, who followed him closely through each section of the museum, but also those of the big kids who were there posing as parents. 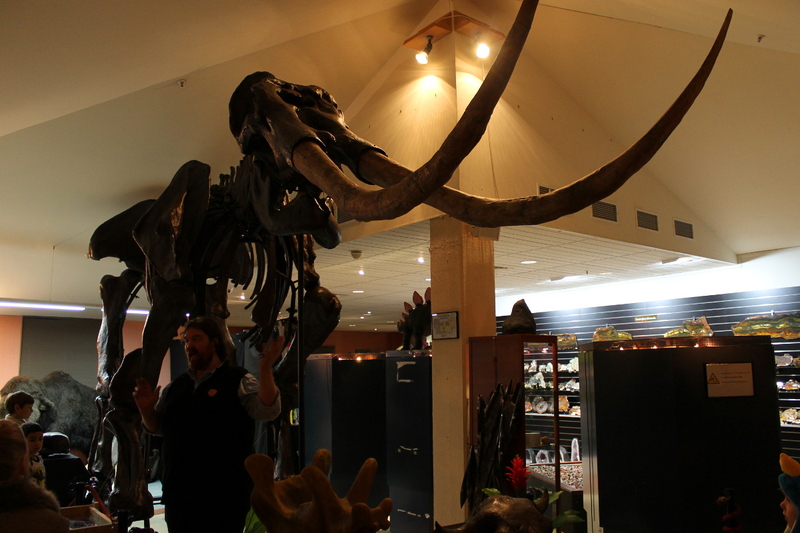 The museum exhibits themselves are exquisite, and there is much to see and learn about dinosaurs, fossils and rocks. It’s all there waiting for you to explore. Earlier this week dozens of local humans and I spent an evening at the Museum of Australian Democracy at Old Parliament House, and what a privilege that was. We were treated to some fine food, live music, special demonstrations, and access to areas generally inaccessible to the public. 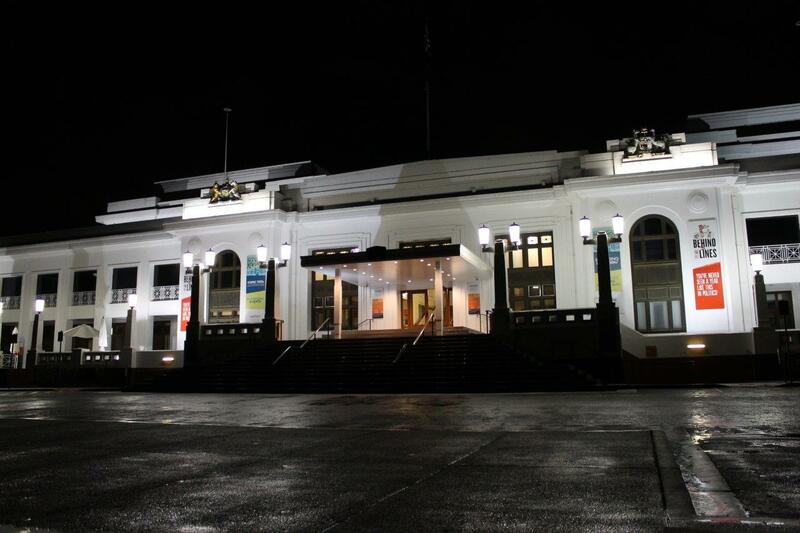 While it was a great night, it was not lost on me that having lived in Canberra for two and a half years and attended events on the lawns of Old Parliament House, this was the first time I had stepped into this majestic building, and how little I knew of what was on offer. When I had friends and family visit last year, Old Parliament House was not on my radar of suggestions for places to see. That is all about to change. Looking on their website I see they have various exhibitions and collections, as well as special activities for children – something I will be checking out with my minis. Just stepping inside to admire the architecture and feel the character of King’s Hall is worth the price of admission – a very affordable $2 for adults – alone, and something I will be recommending to friends and family in the future. 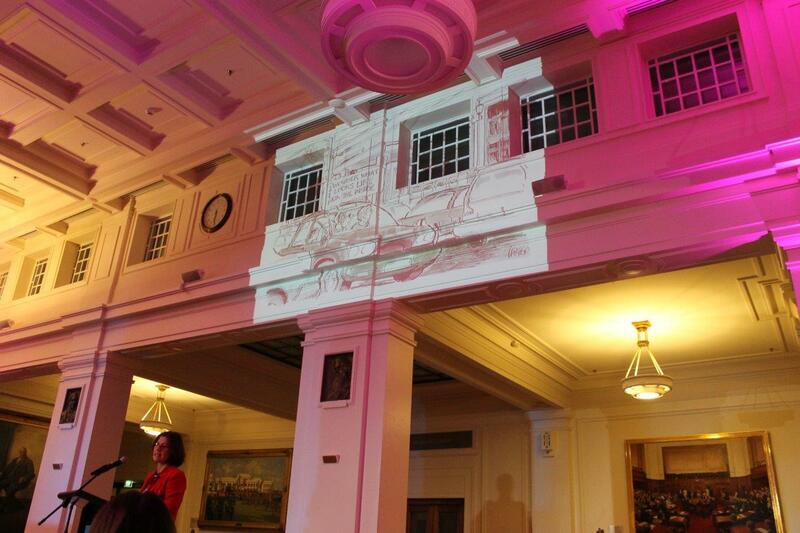 Check out the Museum of Australian Democracy at Old Parliament House. Actually, this is about the marinade rather than the wings. But I like it best on wings skewered and cooked over coals. Chop the wings into segments – drumette, wingette and tip. Use the tips for stock or give to your dog as a snack. Mix all the ingredients together, add to the chicken and marinate for at least a couple of hours. Can also be used on chicken thigh fillets or chicken thigh skewers. For a simple salad to go with it, just dice up cucumber and tomato, slice some spring onions and dress with roughly equal parts of Dijon mustard, avocado oil, white wine vinegar, a garlic clove crushed and a pinch of salt. Anyone who knows me knows I love my food and knows I especially love Adobo, the Filipino dish, both pork and chicken. It is quintessential Filipino cuisine and something you must try. The general recipe is basic, with pork or chicken stewed in vinegar and soy sauce with garlic, black peppercorns and bay leaves. But there are also many varieties with other ingredients such as potato or pineapple also used. Below is my recipe for Chicken Adobo. Peel the skin off the chicken thighs and trim any large bits of fat and excess bone so you are left with a skinless thigh fillet with the single thigh bone it it. But you can leave the skin and the other bone on if you want. Brown the chicken on both sides (I like to fry in a wok with peanut oil). Place the browned chicken in a pot or large saucepan. Press and peel the garlic. Add the garlic, peppercorns, bay leaves, vinegar and soy sauce to the chicken in the pot or saucepan. I like to keep the cloves of garlic whole and also brown them in the wok. The peppercorns are left whole, but sometimes I like to crush half of them in a mortar and pestle. Place on high heat and bring to the boil. Reduce to medium heat and simmer until most of the liquid is gone and gives the chicken a good, saucy coating (30-60 minutes). Stir every 5-10 minutes to ensure all pieces get simmered in the liquid. If you want more sauce than just a coating then do not simmer for as long.